Are you getting this error message in OS X? 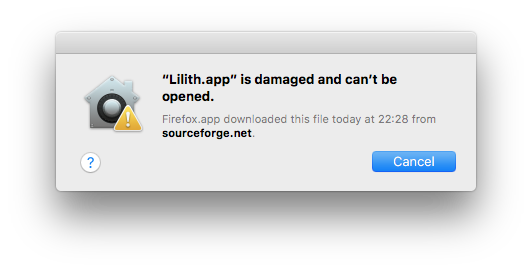 Open Lilith.app once and answer "Open" to the question. You'll now be able to open Lilith as expected.